After a disrupted night’s sleep and a 4 am wake-up call my Las Vegas adventures began. Trying to put contact lenses in my sleep-ridden eyes is the absolute worst as well as trying to look my Kim K airport best. Seriously, how does she do it? I need a 24-7 glam team!. Thomas Cook have recently started doing long-haul flights from Stansted Airport. This is great as it means cheaper flights, and easy access if you live in North or East London or the surrounding areas. Going to Gatwick or Heathrow can sometimes be overwhelming due to the sheer size of both airports and the hundreds of flights on any given day. Our flight was at 9 am so having arrived at the airport at 6.30am we had plenty of time to check-in, go through security and grab some duty-free bargains. I previously went to Tunisia from Stansted last October and was disappointed as many of the shops were under construction. Fast-forward August 2015 and there were a lot more shops and restaurants open (bad for me and my purse). I always seem to buy my expensive make-up items in the airport as it much cheaper than high-street airports. I left duty-free armed with two Mac lipsticks (Spirit & Mocha) and the Benefit ‘They’re Real’ push-up liner. In total these came to £41.50 (eeek) but would have cost much more if purchased at retail price. Sometimes you just gotta treat yourself. We decided to lead astray from the Wetherspoons full English breakfast and try what Halo Fizz bar had to offer. Some might find it pricey but I love starting my travels off with a luxurious champagne cocktail (I had a Kir Royale). Unbeknownst to me… they served food too! Their full English breakfast was absolutely DIVINE! None of the Wetherspoons grease and more of a healthier option, I felt a little happier at this prospect. Although…I’m going Vegas, so anything “healthy” is being thrown out the window – I’ll worry about the gym when I’m back. Anyway, the scrambled eggs were light and fluffy, the brown toast was soft and the bacon was perfect. In total it came to £18.50, which may seem a little steep, but I love to start my holiday off in style. 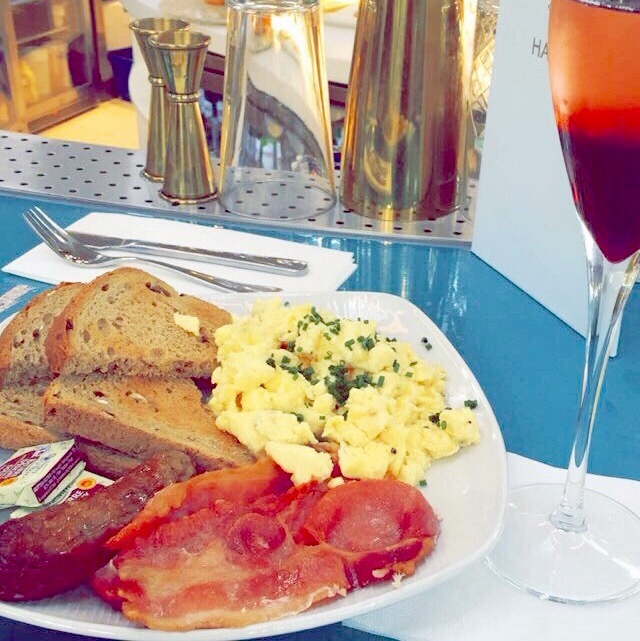 And as the menu from Halo Fizz bar says… “Breakfast without champagne isn’t breakfast”. I cannot help but agree. I guess my name will be broke and bouji. After this, we headed to our gate to board our flight to the city of sin. Having written the majority of this blog on possibly the most BORING flight of my life. You can tell I had plenty of free time. The in-flight entertainment was terrible with only four movies to choose from, I dipped in an out of sleep and cleared out loads on my iPhone. Next time I’ll remember to load my iPhone up with movies and games! Currently, I am sitting on the flight with three hours to go (10 and a half hours 😷) and eagerly waiting to land and get acquainted with the US of A. I haven’t been since I was 13, so as a “fresh” 25-year-old I cannot wait to explore, discover and learn. 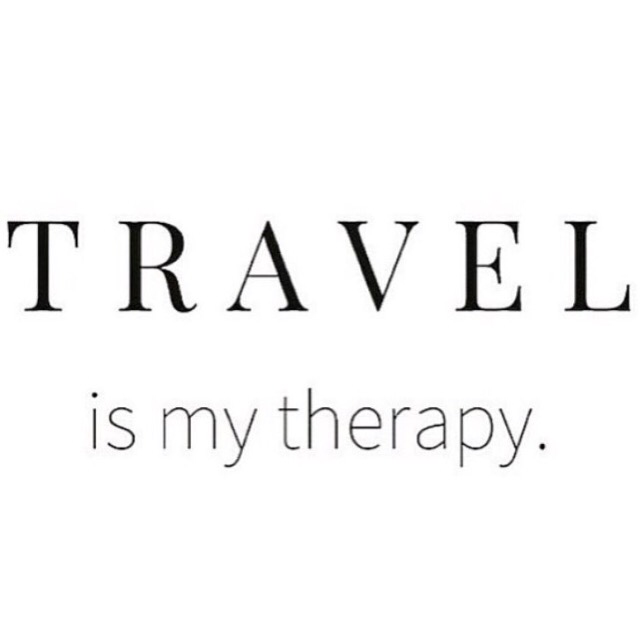 All in all, travel really is my personal form of therapy and I cannot wait to get my wanderlust on. 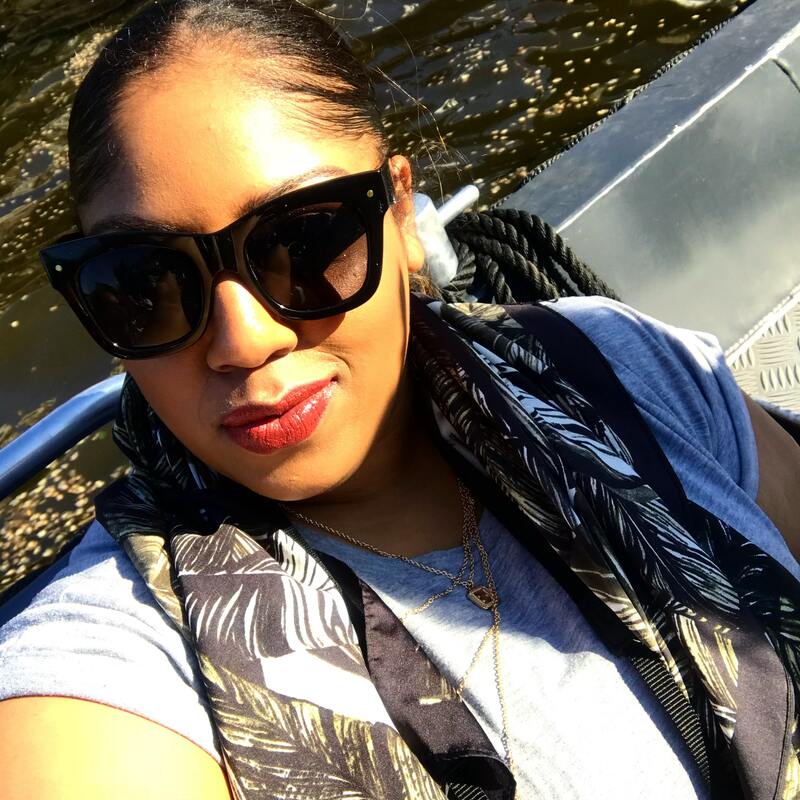 "Musings: My Autumn/Winter Moodboard 🍁🍂🍃❄️"
"Memoirs: Vegas – A Photo Diary"